Look at any market and you would know that products that add convenience to life are shooting up sales. Cordless water flossers have done just that. Most dentists advise flossing teeth every day irrespective of whether you are at home or not. Now regular flossers are quite large in size. With the tank and wire, it only occupies more space in your baggage. In such conditions, a cordless water flosser makes perfect sense. 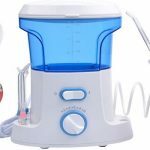 When you look for the best water flosser, it becomes very important to consider a few things right away A good water flosser should be equipped with a large and removable tank. The battery should come with extended life. And it goes without saying – it should be handy in size. 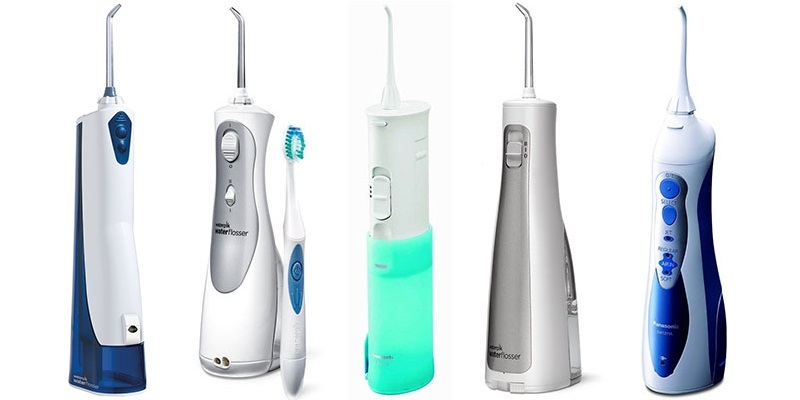 So you feel finding the best cordless water flosser could be an immensely tough ask. Do not worry. I am here to solve just that. In this piece, I take you through some of the top performing cordless water flossers in the market and give away the hits and misses of each. 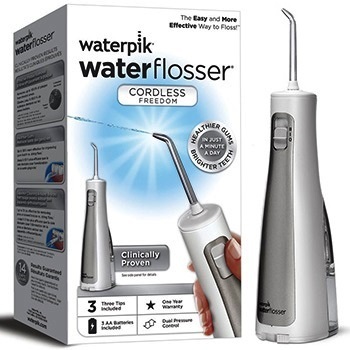 The Cordless Freedom water flosser is among the most effective ways to water flossing you will ever come across. An investment as low as a minute a day can give you remarkably brighter teeth and healthier gums. The Cordless Freedom operates on battery and the compact portable design means that you can take it with you while you travel as well. This gels really well with the cordless operation of the flosser as well. The Cordless Freedom from Waterpik also does you wonders if you have a small bathroom. The compact form factor teams up really well with small bathrooms. And you are also released from the pain of trying to look for a charger all the time. You get 3 AA batteries included with the pack. The replacements are on you, though. The product is also waterproof and you may use it in the shower. 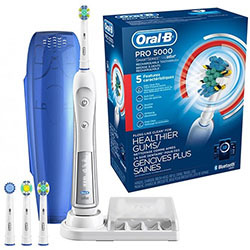 It includes 3 floss tips and 2 different pressure modes. 2 pressure modes, 3 floss tips. Effective and easy water flossing. Brighter teeth from just a minute of daily flossing. Confusing higher and lower speed operations. Slightly weaker pressure than other flossers. 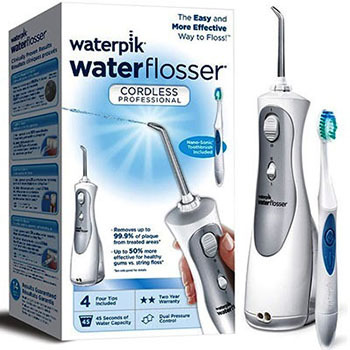 The Water flosser Cordless from Waterpik is among the most favored cordless flossers by dentists. It guarantees you healthier gums in under 15 days. The oral cleaning system goes deep between teeth and below the gumline. The flosser can be easily recharged and is simply great for travel. 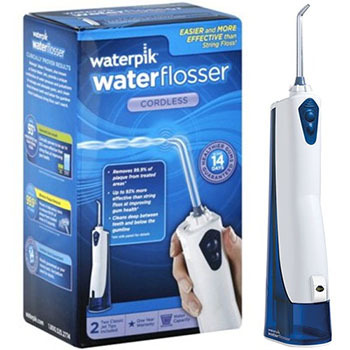 The overall effectiveness and comfort you achieve with this Waterpik is higher than regular flossing. If you have an aversion to floss and yet need deep cleaning, this could be the tool for you. The two distinctly different tips of the flosser allow you to choose between low and high pressure. You can use the high-pressure jet very conveniently for general purposes. You get a thorough cleaning with the tip between the tip and below the gumline as well. And you can use the low-pressure tip for sensitive gum cleaning and flossing. 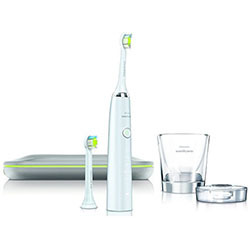 The cordless rechargeable design of the flosser is the winner for us. It gives you maximum convenience and mobility. Effective and seamless compared to regular flossing. Takes less space on counter top. Cordless use for more convenience. Two tips with distinct functions. Performance deteriorates over a few weeks. The Cordless Professional from Waterpik presents an effective cordless flossing option before you. 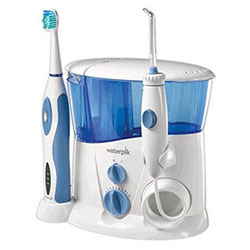 Like most other Waterpik models for cordless flossing, gives you brighter teeth with just a minute of daily flossing. The advanced ergonomic design allows you two modes to control pressure. It comes with four different water flossing tips, which are suited for different modes of cleaning. The water storage is large enough to last you 45 seconds at a stretch. The Cordless Professional heavily depends on a combination of technologies to give you the quality you want. The cleaning goes deep inside your teeth as well as the area below the gumline. It helps you get rid of debris and bacteria that regular flossing is not capable of. 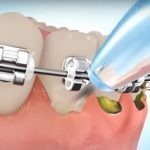 The operation is very easy as well – all you need to do is fill up the reservoir completely with water, aim for the gumline and shoot. You may use warm water for sensitive teeth. 2 classic jet tips for water-shots. Orthodontic tip for sensitive teeth. Slightly messy flow of stream. 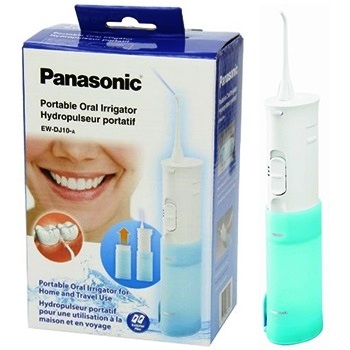 The EW-DJ10-A water flosser from Panasonic has been designed to aid you with travel. 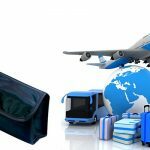 It is very easy to fit it into luggage and bags while you are traveling. The function is also simplistic and it reaches the place that regular flossing does not. The highly powered water stream of the floss helps remove debris, bacteria and food particles stuck between teeth. There are two different speeds – the higher tempo is for general daily cleaning and the lower takes care of children and sensitivities. A 5.5-ounce reservoir comes included with the EW-DJ10-A and it gives you longer floss duration and you will not have to keep filling the flosser intermittently. The EW-DJ10-A is a 100% waterproof flosser. You can rinse it easily and quickly simply by holding under a running tap. You may occasionally use warm water to clean the insides. The collapsible design makes it a perfect fit for even the coziest travel bags. Best deal >>Panasonic EW-DJ10-A Portable Dental Water Flosser Here! 1 nozzle for pointed stream. Collapsible build; fits any bag. The battery cover is too soft. 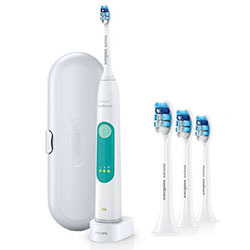 The EW1211A flosser from Panasonic is both cordless as well as rechargeable. It helps you maintain healthy and clean teeth. The cordless operation allows you enhanced maneuverability and makes harder-to-reach areas easily accessible. You get some 1500 pulses every minute with the EW1211A. This is high enough to get the jet stream into most areas of the mouth; even between teeth and below the gumline. You may also use it to gently massage the gums and remove any food particle stuck to them. 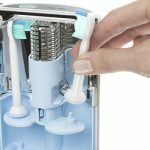 There are three different pressures settings in the EW1211A that make flossing even more effective for you. The jet mode drives full-pressure jet streams inside the mouth. This mode takes care of any large food particles from all corners. The regular mode sweeps off smaller particles from your entire mouth. The soft mode cleans sensitive teeth gently with lower pressure. It is also ideally suited to massage your gums. 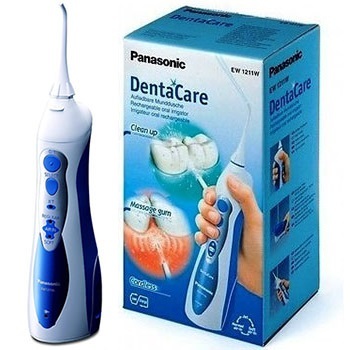 >>Click Here For More Information About Panasonic EW1211A Dental Water Flosser on Amazon! Three distinct pressure modes for varied functions. Up to 1500 pulses every minute. Cordless and compact for travelling. pressure feels weak at times. What’s the difference between a cordless water flosser and a regular one? For regular water flossers, the storage would generally be confined to the sink-top or a counter-top in the bathroom. But if you are using a travel flosser, you will have to store it inside your bag and with other luggage most of the time. This clearly differentiates between the size, mode of operation and from a factor of the two types. Also, regular flossers can switch between corded and cordless use. However, you will mostly have to opt for cordless options in travel water flossers. What characteristic you’ll look when buying a cordless water flosser? Does it have water pressure control? It is very important to be able to choose the pressure at which the device operates. You do not want to use the maximum for sensitive teeth and for children. Also, removal of differently sized food particles requires operation pressures too. This is a significant consideration that you will have to make, even when it is a travel water flosser that you are shopping. Does it have extended battery life? You want a cordless travel flosser to last you at least a few uses. The battery life of the flosser determines how many times you can use it. You will need to note here that most water flossing devices use non-rechargeable batteries. It is better if you get a model that supports rechargeable batteries as well. Does it have high capacity water tanker? Even if it boils down to one minute every day, you will have to take the capacity of the water tank into account. If the water tank is not high on capacity, it will not generate enough pressure with the stream. And water flossing greatly depends on the force with which the water hits your mouth. Does it work well for sensitive gum line? Gums and sensitive teeth do not bear too much pressure. Most water flossers for sensitive teeth will include a personalized custom mode for gums and sensitive teeth cleaning. But even for normal travel flosers, there will be a mode that supports cleaning of gums and sensitive teeth. Make sure this mode has not been overlooked. How well does it fight against plaque, bacteria and gingivitis? Plaque and bacteria can easily be done away with if you invest in the right water flosser. Some models do exceptionally in fighting plaque and bacteria. The freshness easily lasts you 8 to 10 hours. The ones that are meant for sensitive gums are also good for curing gingivitis. Study the attributes more carefully based on this observation. 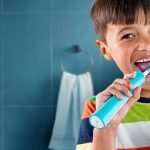 Most water flossers that work on batteries are meant to be travel-friendly. However, the design and form factor of the device also make important considerations. See if the flosser would fit a corner in your travel bag. If it takes more room than that, you may well go for other relevant options in travel water flossers. The Cordless Freedom from Waterpik goes with its name – it is a cordless flosser and it gives you the freedom to carry it everywhere you go. There are 3 distinct flosser tips and two different modes for pressure control. The battery operated, portable design is hard to neglect, especially when you are traveling. 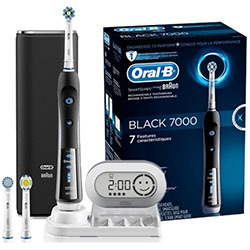 Above and beyond that, it gives you better teeth and gums with just a minute of daily use. Cordless water flossers are the game when you are traveling. Look for maximum convenience and a compact form factor when shopping.